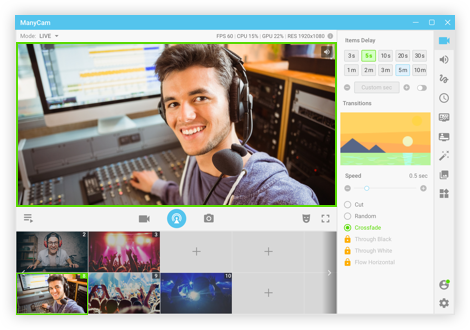 ManyCam is a free webcam software and video switcher to enhance your video chats and create amazing live streams on multiple platforms at the same time. 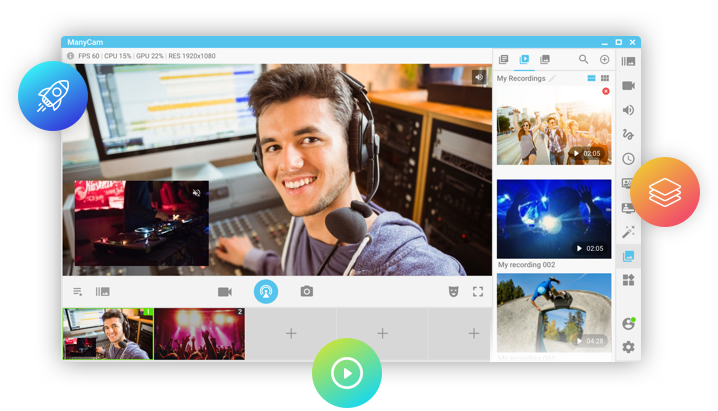 Create professional-looking broadcasts on your favorite platforms, record your screen, add many effects and much more. Every feature has been carefully designed to perform at its best. The overall performance of ManyCam has also been enhanced to give the most to our users. Don't Hesitate, Get Started With ManyCam Today! ​ManyCam has to offer ​. 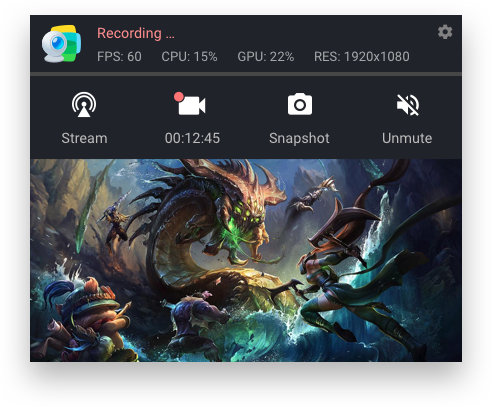 Share your computer screen during your live videos or record the actions you take on your desktop. Add web pages to your live broadcast as video sources. Control your camera settings directly in the software. 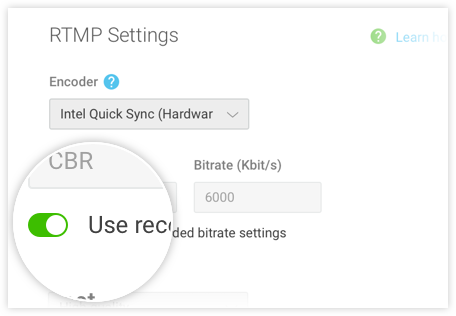 ManyCam detects and automatically sets the video bitrates that are best you. 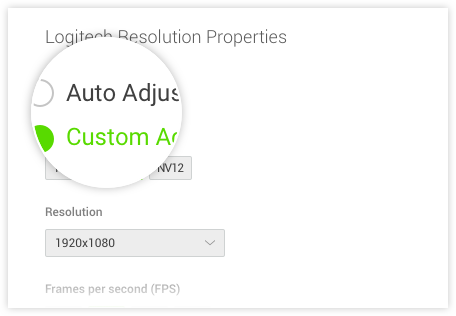 Quickly switch between up to 12 video, audio and image sources. Stream and broadcast videos from YouTube using the YouTube video source. 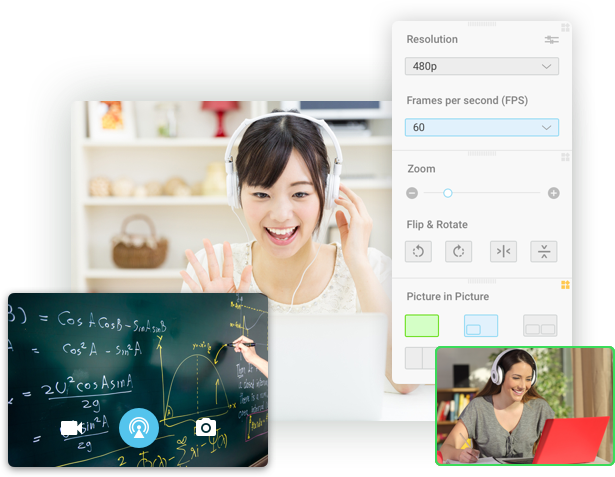 Use your webcam with different applications simultaneously. 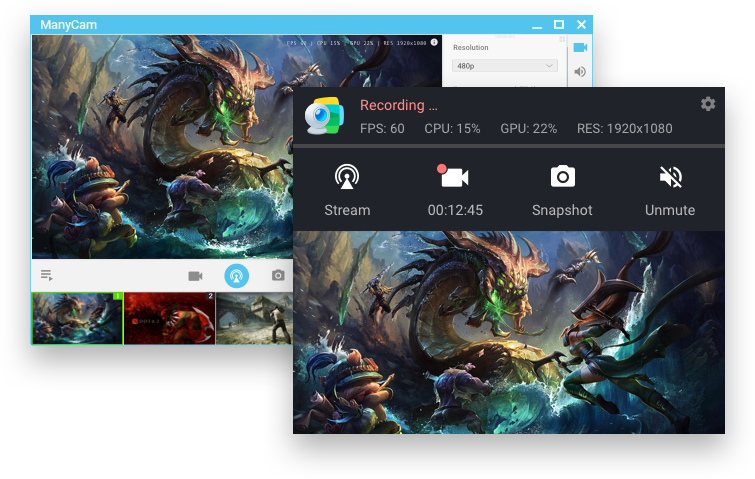 This feature allows you to remove your real background from your video stream and replace it with other sources. A text graphic overlay on the lower third part of the screen. It is usually used to add titles or captions. 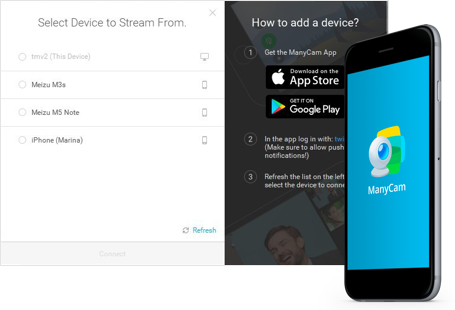 Use your mobile phone as a video source with ManyCam’s Mobile source app. 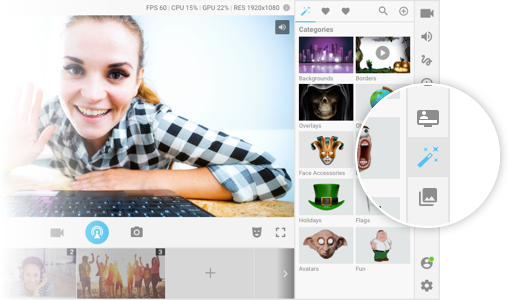 Use or create your own custom objects, face accessories, backgrounds and add them to your video window. 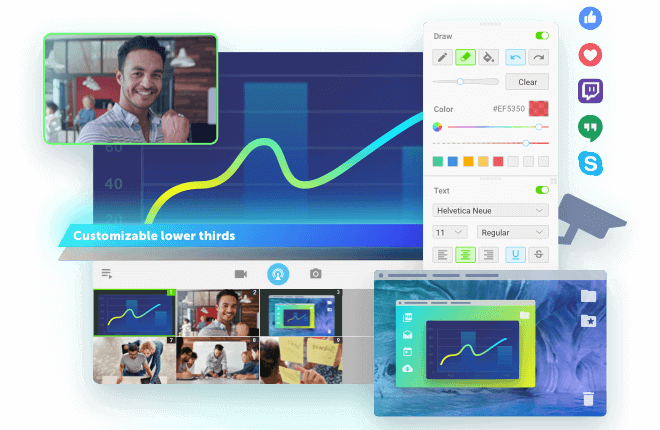 Draw over your video while on Skype, YouTube, or any other video software. 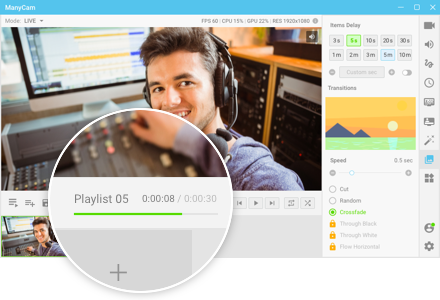 Create playlists and air them on live streaming websites, or during conference calls. 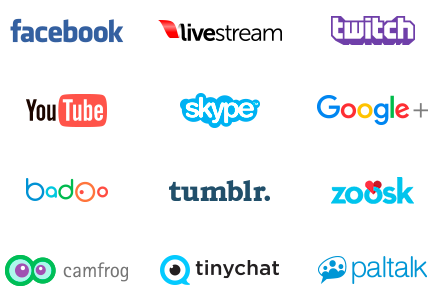 This feature allow you to broadcast directly on Twitch, USTREAM and YouTube live events. View your IP cameras on your PC and keep an eye on your home, office, parking area or anywhere you need security. You can use it with you IP cameras to enhance your security system solution. 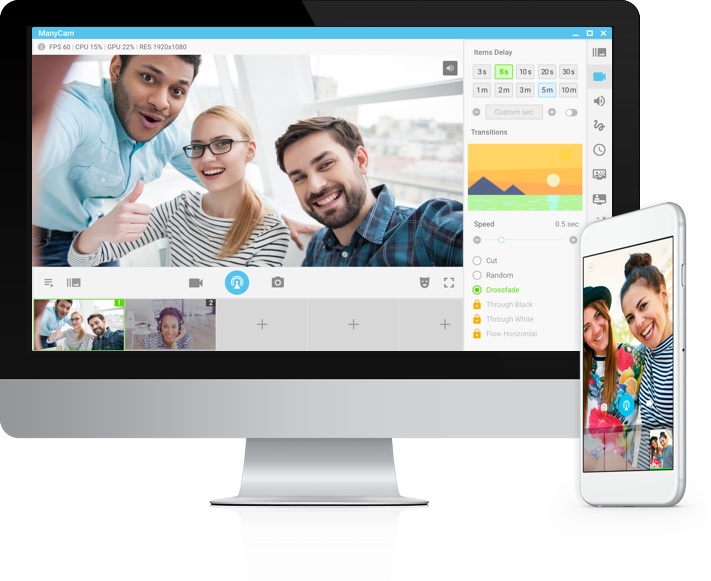 Allow you to activate different features and tools, even when ManyCam is running in the background of your live stream or video chat. Once you click on one of the tools, the panel right next to it will open up with all of that features options, settings and tools. Move around the "widgets" inside of each tool and keep what you need most at the top!